The U.S. Securities and Exchange Commission (SEC) dropped a bombshell on ExxonMobil yesterday. News reports revealed yesterday that the SEC is investigating the oil company’s balance sheets and how efforts to solve climate change might impact the company's bottom line. ExxonMobil and its allies have been furiously trying to wave away the mounting stack of official investigations into what Exxon knew and said about climate change, so this latest investigation must have come as a severe disappointment to them. What the SEC is describing is a “stress test” for fossil fuel companies to measure their profitability in a world where we successfully limit global warming. If the report is true, it could be a big deal for the climate, and climate activists everywhere. The first thing to understand about oil companies is that their value in the marketplace is largely determined by the value of their proven reserves, i.e. the oil and gas that companies have already discovered but haven’t pumped out of the ground. Since these companies are constantly selling oil and gas, they also have to be constantly finding new reserves in order to maintain that storehouse. A company that each year finds (or acquires) as much oil and gas as they sell is considered by Wall Street to be in strong financial health. A company that is not able to replace its reserves will decline and eventually go out of business. The hard truth that fossil fuel investors must grapple with is that we already have way too many reserves. In order to limit global warming to 2 degrees C we will have to leave the majority of existing fossil fuel reserves in the ground — to say nothing of new discoveries. Even burning the reserves we have is enough to push us over the limit. What’s more, for us to have even a 50-50 chance of keeping warming under 2 degrees Celsius, demand for oil will have to peak in the next few years and then decline rapidly. In contrast, ExxonMobil’s annual Energy Outlook reports confidently predict that demand for oil will grow continuously over the next several decades. The gulf between these two visions of our future is stark. The chart above compares the International Energy Association’s scenario to keep the carbon in the atmosphere below 450 parts per million (red line) and ExxonMobil’s estimate (blue line) for world oil demand from 2014 to 2040 (in units of millions of barrels of oil per day). 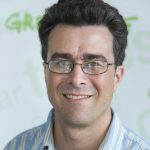 The 450 scenario gives a 50 percent chance of limiting global warming to 2 degrees C.
The difference between the red path and the blue path is the difference between a safe climate and one careening out of control — but it also represents a massive amount of profits that oil companies would have to give up. All of this shows that the current business model of oil and gas companies is simply incompatible with a stable climate and a healthy planet. Exxon and other oil companies may be betting the farm on climate disaster, but they are also stacking the deck, paying the dealers, and (when all else fails) bluffing. Oil companies know perfectly well that their profits will be significantly curtailed by serious action to address climate change — and they have known this for decades. Multiple investigations by Inside Climate News, the Los Angeles Times and the Center for International Environmental Law have all uncovered evidence that scientists working for Exxon, and other oil companies, knew the risks of climate change decades ago. 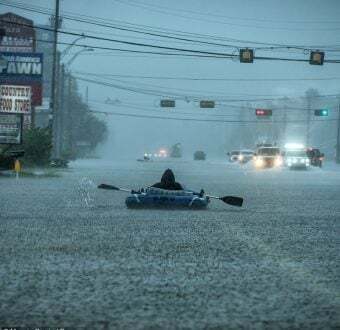 Despite this knowledge, the oil companies mounted a sophisticated campaign of climate denial that has successfully delayed action on climate change for years, while carbon accumulated in the atmosphere and Exxon’s profits soared. These revelations have in turn sparked investigations into whether Exxon managers committed fraud in its statements to the public or its investors. Both the New York and Massachusetts Attorneys General have opened investigations into what Exxon knew and when they knew it.The SEC investigation should give new momentum to those inquiries, while expanding their scope from what #ExxonKnew to what Exxon knows. The SEC’s stress test is not likely to go well for Exxon or other oil companies. A stranded asset is one that cannot be produced due to falling oil demand, or a high carbon price, or other climate policies that limit the amount of fossil fuels we can combust. Because the oil industry works on very long investment timescales and high upfront costs, any decisions we make today about where to invest our money will have a profound influence on what our energy mix looks like in future decades. 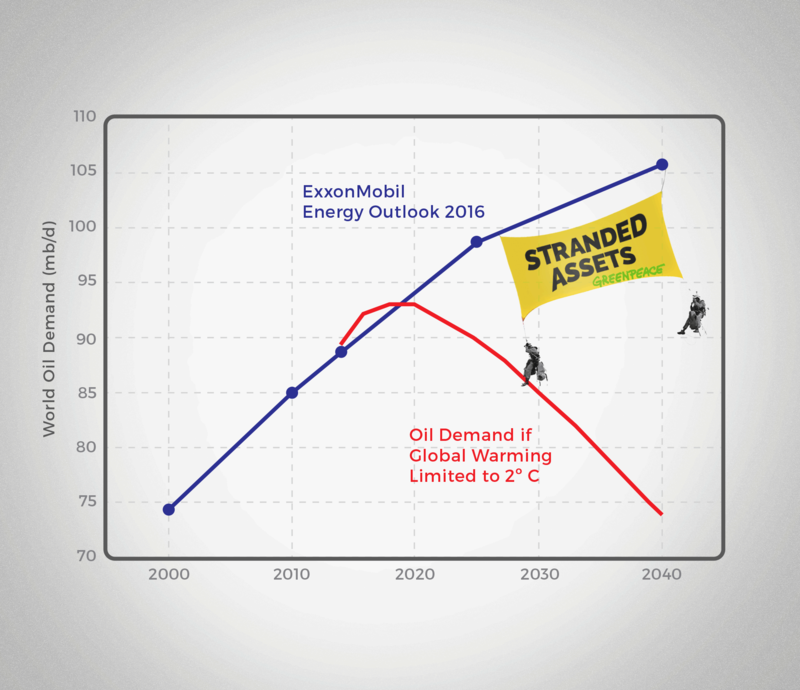 In a climate safe world, Exxon looks like a lousy investment. And we need to make sure Exxon can’t keep holding back our renewable energy future over oil and gas that can’t be burnt. We can do that by demanding comprehensive investigations at the highest levels of government. 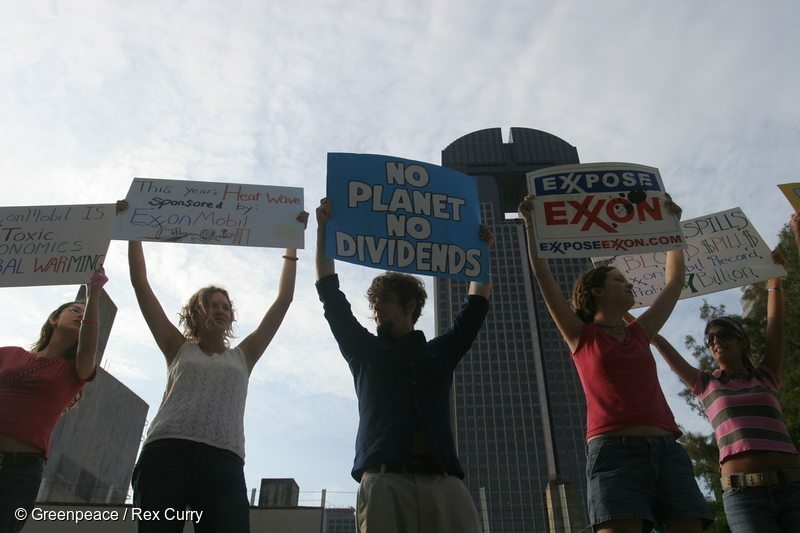 Tell the Department of Justice to join the SEC and investigate Exxon!